healthcare network built on open communication and collaboration. Our solution is built by healthcare providers and is for providers and their patients. Patients We Share was founded by Dr. Justin Bird and Dr. Terri-Ann Samuels, two successful physicians practicing medicine in different specialties, but with similar patient experiences. After spending too much time seeing patients that had been referred to them, only to quickly learn they had conditions not suited for their specialty, the doctors searched for an answer among the many healthcare-centered programs and applications already on the market. Not finding a viable solution to their problem, they decided to create one. Patients We Share is a state-of-the-art tool that healthcare providers across the ecosystem will soon consider a necessity. Its design is all-inclusive; anyone who is involved with or directly provides patient care is the right candidate to join our platform. Patients We Share streamlines the referral process, simplifying, and often shortening, the patient’s journey to improved health. 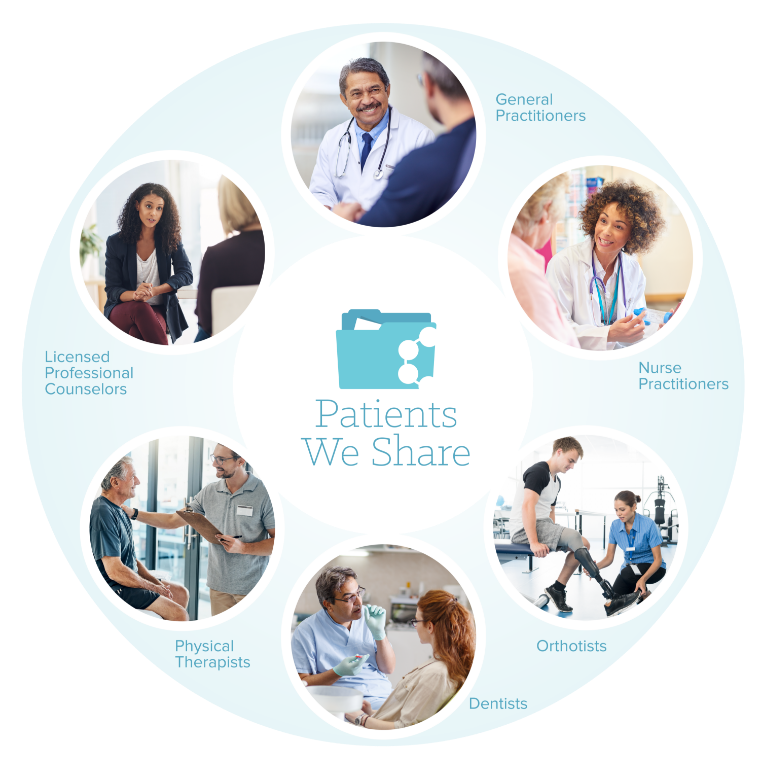 Patients We Share promotes open communication and makes collaboration possible where information used to be siloed. 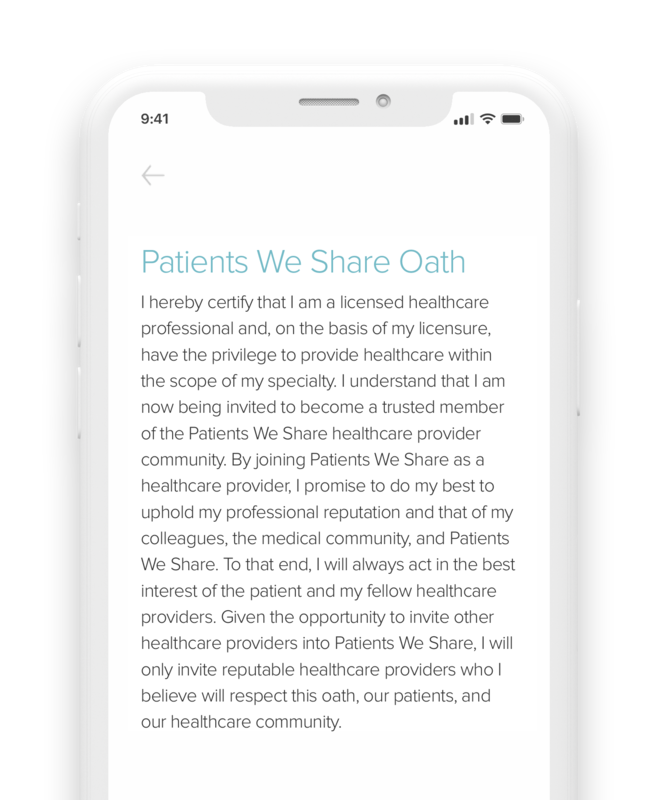 Patients We Share was founded by physicians who recognized the need for a technology that enables provider communication, verifies patient referrals, improves patient access to physicians and streamlines patient records and treatment information. At its core, Patients We Share is a patient navigation system designed for everyone involved in patient care. Individual providers, small privately-owned practices, single hospitals, or complex, multi-hospital systems benefit from Patients We Share. The platform is designed to scale to accommodate businesses and practices of all sizes. And, any healthcare provider at any level of the enterprise can use this platform to improve his or her efficiency and effectiveness in treating patients. With a robust provider profile that includes coding, academic interests, research specialties and more, you’re able to make more accurate referrals and be confident that you’re sharing your patients with the qualified provider who can effectively contribute to their journey to better health. Patients We Share leverages provider behavior to create a communication platform that fits organically into the existing healthcare ecosystem in which we operate. We are developing a suite of mobile tools to create a foundation for a transformative healthcare network built on open communication and collaboration. Providers face the challenges of a complex medical infrastructure that makes it difficult to spend time treating patients, share important healthcare information or communicate with other providers. When focusing on patient care, having the ability to assemble the right team members with the essential skill sets is key. This platform works far beyond connecting doctors with other doctors. Patients We Share brings ALL the appropriate experts to the table – Nurse Practitioners, Physical Therapists, Licensed Professional Counselors, Orthotists – any healthcare professional with the specialty needed to give your patients the very best assistance in achieving improved health. PWS provides the platform and the network; you make the connections, collaborate and get to work. When you join Patients We Share as a healthcare provider, you’re in good company. All users of this encrypted, HIPAA-compliant platform agree to operate under an oath. Every prospective provider applying to join the network is thoroughly vetted for employment, current credentials and valid licenses. All information gathered and stored within the PWS application is safe, secure and encrypted. You can rest assured that your data will never be used for any purpose outside of the operations of the PWS program. With Patients We Share, your day-to-day is streamlined so you can keep patients at the center of your practice. Connect with other trusted healthcare partners in an encrypted, HIPAA-compliant platform. Establish cases for efficient referrals and actionable notes. Access condition-specific literature for review and to share with your patients. Review patient satisfaction and referral frequency. Track treatments and recommended products. throughout the lifecycle of care, all with the touch of a screen. Patients We Share streamlines the healthcare experience and simplifies a patient’s journey to improved health. Store medical records and insurance information securely. Easily share personal information with new practitioners without clipboards of paperwork. Find the right healthcare provider and schedule an appointment. Read and learn more about your specific conditions and treatment plans. Rate providers, treatments and products and review other patient experiences. Keep track of appointments and prescriptions. Never before has it been quicker or easier to enjoy an absolutely transparent healthcare experience with access to qualified providers, personalized products and treatment, as well as current individualized healthcare information, all expertly sourced by the providers you trust. We envision a future where personalized information and products are delivered through our seamless platform from provider to patients. PWS—navigating patients to the right providers, products, and information. Are you ready to help us disrupt the healthcare industry? We’re seeking early adopters to join our pilot program, as well as strategic partners to invest. Sign up for Patients We Share news and updates.